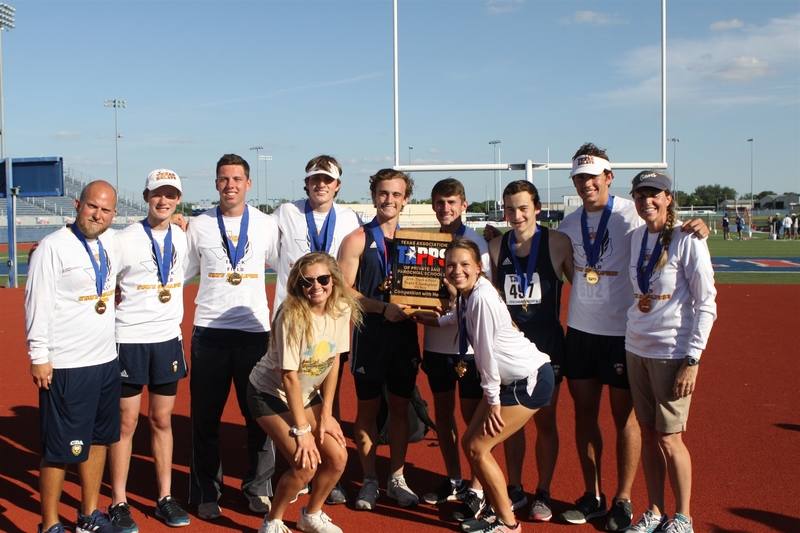 Coram Deo Academy (Flower Mound, Texas) accomplished a historic feat this spring as their boys Track and Field team received their first State Championship in the TAPPS 4A Division. They also earned 6 additional State titles in the boys 4x200m, 4x400m, boys 100m, boys 400m and girls 200m and 400m. To complete the day the team received a 2nd place finish (silver medal) in the boys 200m and 3rd place (bronze medal) in Shot Put. This ended an incredible year for CDA Athletics as their state’s governing body (TAPPS) honored 48 Academic All State Student Athletes from Coram Deo and 11 of their teams/students finished in the Top 3 at the State level. If you would like more information about Coram Deo Academy, please visit www.coramdeoacademy.org or call 800-465-0561 for additional inquires regarding enrollment for the 2018-2019 school year at any of the three campuses across the Dallas-Fort Worth area.